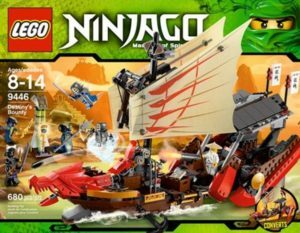 Lego charged it’s way through 2018 releasing wave upon wave of sets unlike anything we’ve seen before! 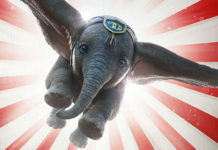 Flexing it’s awesome Intellectual Property muscles from movies alone we got entire runs of: Jurassic World 2, Fantastic Beasts, Avengers and even a few smaller releases like the Unikitty line or the last of the Lego Batman Movie and Star Wars waves. 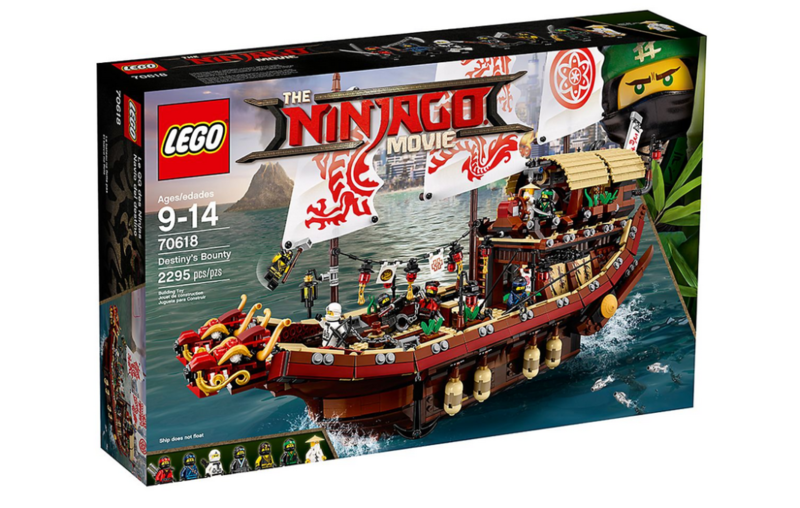 But when it comes to style, price point and brick count, Ninjago Movie sets like the 70618 – Destiny’s Bounty were clearly the masters of all. 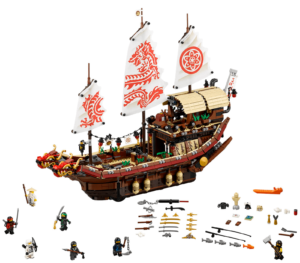 The ship has undergone a large overhaul, retaining the basic layout of the Dragon Bow of the ship, and expanding on the living quarters with every square stud Lego could provides. That being said, it’s also noteworthy that this is the biggest ship Lego has ever produced. Beating out the Silent Mary from Pirates of The Caribbean. 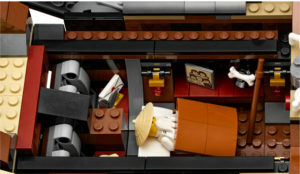 The Lower hull of the ship contains a weapons room and Master Wu’s Bedroom. Both fully detailed and made up of some integral and useful reddish brown parts. The layout and brick structure is definitely something to note if you are looking to purchase this and create your own ships one day as I plan to. The Poop Deck, Training Room, and Helm are filled up with as much detail as you’d get with a Creator series Modular. The Rear of the ship sports just as much detail and even provides some minifig space!! The variety of parts and colors in every bag certainly gets the imagination going. Despite some minor build issues like hull panels or floaters that may fall off when moving, the overall structure holds strong and won’t interfere with display or play time. Combine that with the overall piece count and illustrious supply of unique parts, this set is well suited for Builders and Collectors alike! 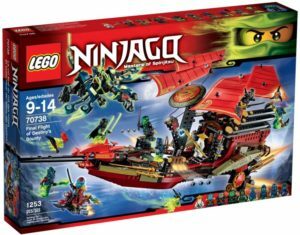 As someone who can only afford to buy one high-piece-count set a year, I found this to be another breath of fresh air fresh off my last acquisition: 70620 – Ninjago City. 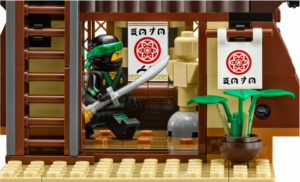 At this point, I should probably point out, I’ve never seen The Lego Ninjago Movie, nor have I ever seen a single second of the show. The builds are just so incredibly detailed, have a healthy piece count, and offer so much variety and bang for their buck. And Recommend to both Collectors and Builders! You can see my original Lego MOC’s on my Lego Facebook page Another Brick Studio.